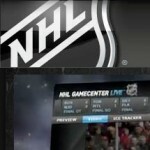 Sony and the National Hockey League just announced NHL GameCenter LIVE streaming on your PS3. PlayStation 3 is the first gaming console to offer the service which will cost you $9.99 for the app (free for PlayStation Plus members), as well as an NHL GameCenter LIVE subscription which runs $169 (non-subs see below). The streaming content from NHL Live, which includes full-length and condensed replays, is available in hi-def resolution via the NHL GameCenter app. For those of you who don’t have an NHL GameCenter LIVE subscription you’ll be able to get in on some of the action by using the PS3 app to access content such as post-game highlights, schedules, standings, player stats and profiles, and a full NHL scoreboard. You can download the NHL GameCenter app on PlayStation Network (PlayStation Network subscription required). Once installed, you’ll be able to access it under the “Video” icon on the XMB menu. NHL GameCenter LIVE also gives you unlimited access to over 500 classic games from NHL Vault, home and away broadcasts allowing you to follow your favorite team, and condensed 10-12 minute games.